Thank you to all who took the time to watch the video updates on riverwalk design and participate in our last community survey before the Willamette Falls riverwalk design is unveiled in June! Almost 700 people responded to the survey. The survey questions encompassed several categories of community interest, including the Flour Mill structures, access to nature and bank fishing. The Flour Mill. The riverwalk design process includes decisions about which structures and stories will be highlighted. 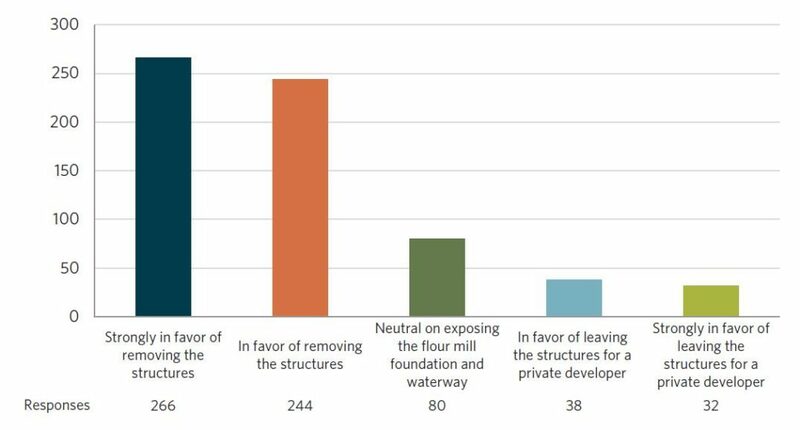 Survey participants were asked whether they preferred that the Flour Mill structures be removed to expose the building foundation and waterway to create open space, or if the structures should be left in place for the site’s private developer to redevelop. Of the 660 responses, 77% were either strongly in favor or in favor of removing the structures. In the write-in comments section, a small but passionate group of people advocated for the preservation of the structures. Access to Nature. Access to natural areas along the riverwalk is an important priority in the riverwalk design, which will include pathways providing access through (but not upon) sensitive habitat areas. Survey participants were asked what type of experience they would like to have while on these pathways. 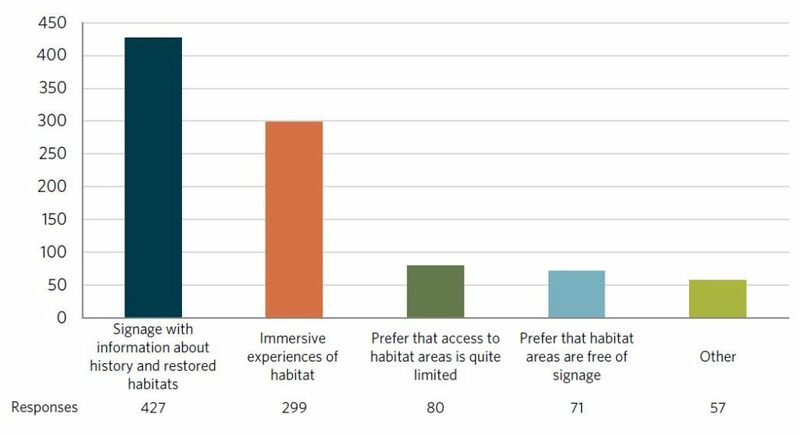 Of the 934 responses from 661 people (who had an opportunity to provide up to two preferences), the top choices were: signage with information about history and restored habitats (46%), and immersive experiences of habitat (32%). In the write-in comments section, the key theme that emerged was a desire for less activity and fewer structures within the natural areas, allowing the focus to be on the habitat itself. 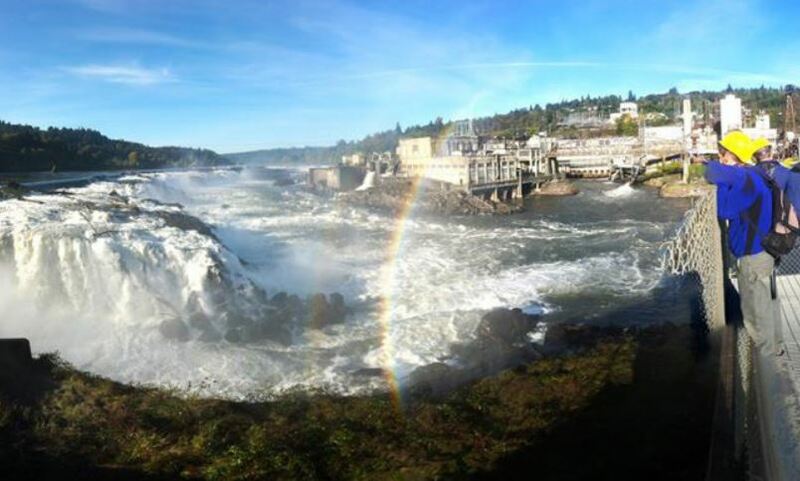 Fishing Near Willamette Falls. Survey participants were asked if they were interested in fishing near the falls. Of the 672 people who responded, the majority (68%) said no. Bank Fishing. 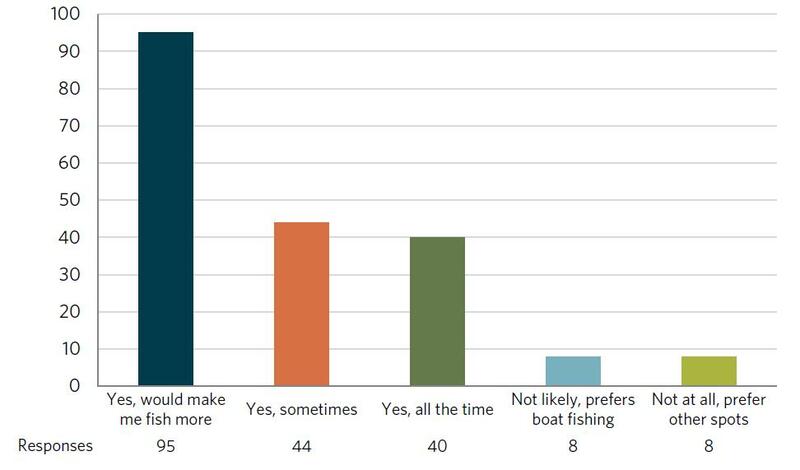 Of the 207 survey respondents who said they were interested in fishing, the majority said they would utilize access to the shoreline along the riverwalk for bank fishing if it were available. Dozens of people provided comments on what makes for an ideal fishing spot. Key themes that emerged include: secluded areas away from human activity, seasonal restrictions and various ways to provide for access and safety. Read the full summary of survey results. To view video updates on riverwalk design, visit our Vimeo page.